Closing up shop on what was an otherwise ho-hum trade deadline for the Los Angeles Lakers, general manager Rob Pelinka and Co, did add some drama immediately before the deadline passed at noon on Thursday. The team dealt forward forward Michael Beasley and center Ivica Zubac to the Los Angeles Clippers for big man Mike Muscala. A relatively minor trade in the grand scheme of things, this did open up a roster spot for what promises to be a relatively big buyout market over the next couple weeks. 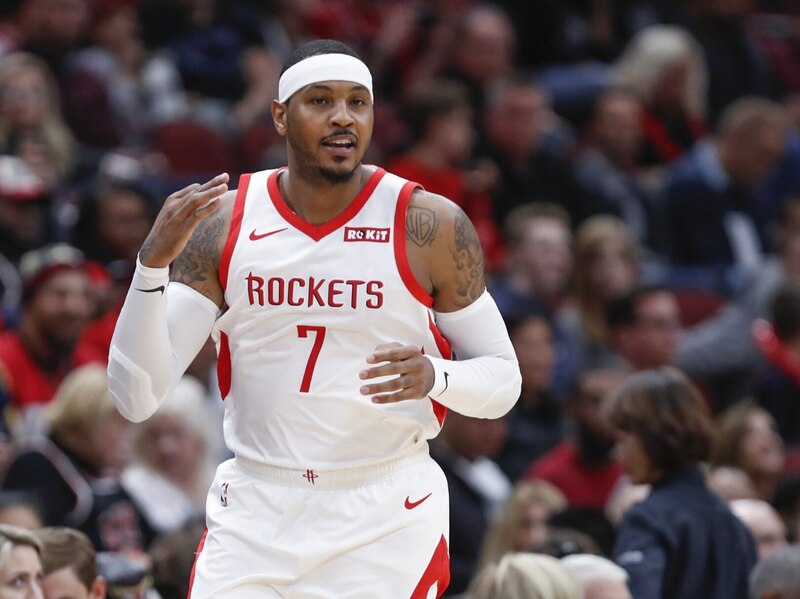 Attention immediately turned to the possibility that the Lakers would look to add LeBron James best bud, Carmelo Anthony. It had previously been reported that King James wanted his Banana Boat crew member to join him in Los Angeles. Though, another report indicated that the Lakers were not necessarily interested. In talking about the two deadline trades the Lakers did make, Pelinka refused to address the possibility of bringing in Anthony. He did, however, note that a number of different possibilities are being discussed. Rob Pelinka, on a conference call with reporters, says the Lakers are evaluating a "handful" of potential players to add with their open roster spot. He would not address Carmelo Anthony specifically. He also said the team is weighing adding now/waiting on that addition. Having added shooters in Muscala and Reggie Bullock, Los Angeles might now look in a different direction. Anthony, 34, is a shell of his former self. He played in just 10 games with the Houston Rockets this season before the two sides decided he wasn’t a fit. Ultimately, Anthony was traded to the Chicago Bulls before being bought out.